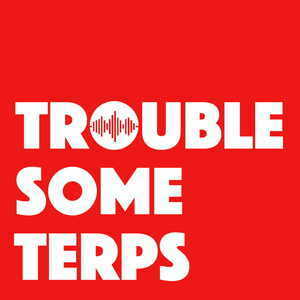 Troublesome Terps - Blog - Troublesome Terps Live! Two Germans and a Scotsman walk into a pub. It sounds like the start of a bad joke or like the start of a crowdfunder. It was the basic idea behind Troublesome Terps Live, when, for the first time ever, Alex D, Alex G and Jonathan D were all in the same room, at the same time. What could possibly go wrong? Before we even answer that question, we need to say thank you to our amazing sponsors. Linguali and Interpreters’ Help donated generously to the live show and their support (and notepads!) made a big difference. ITI and CIoL provided excellent materials and proved just how much high-quality CPD is on offer. And, of course, we would have not even managed to get anything off the ground without our amazing crowdfunding backers. With a team like that, everything will go smoothly, right? Well, pretty much, yes. Alex D and Alex G (how does one pluralise “Alex” in English?) had a great time sharing their wisdom and wit with students at London Met, while Jonathan was flying in. Once he arrived, Jonathan got to work opening and checking all the boxes of goodies from our sponsors and preparing the goodie bags. When the Alex’s arrived, they jumped in too. While all that was going on, there was the small task of setting up equipment, welcoming arriving guests and making sure that the laptops and mics were all in the right position. While Troublesome Terps might seem as effortless as three guys sitting in a pub chatting, there is a lot of writing, planning and thinking behind each episode. And, when you have a live audience, you need the introductions to be sharp, the transitions to be spot on and the topics to be interesting. From the laughs and happy faces, it seemed that the audience really enjoyed the first half, where we chatted through what clients expects of interpreters (hint: Jonathan wrote his PhD on that) and the “lies” we tell clients. Then we headed for some comedy. Special guest Mike Sheer provided the comic stylings, which ranged from observations on British culture to some interesting remarks about knife-handling and puppetry (not at the same time). In the second half, we moved from Jonathans favourite subject to Alex Gansmeier’s home turf: being a diva, or, as it were, an “anti-diva”. It’s a regular Troublesome Terps topic and one that many interpreters have something to say about. Are there really that many diva interpreters? After that, all there was left to do was wrap-up and enjoy some relaxed drinks with the best live podcast audience in the UK.